I am a fifth-year Ph.D. student in the Computer Science department of Brown University, advised by Rodrigo Fonseca. I'm broadly interested in operating systems and computer networks, which has led to my current focus on distributed systems, such as the Hadoop implementation of MapReduce, and the Internet. My research is currently exploring new designs for collaboratively sharing network resources, network filesystem issues in Hadoop, and the use of ISP backbone networks. From 2011-2014, I will be supported by a National Defense Science and Engineering Graduate Fellowship (NDSEG). I spent the summer of 2013 at Google (Mountain View) in the Platforms Networking Group. After graduation, I will be joining Google (Sydney), and continuing to develop software-defined networks. I spent the summer of 2012 at Cloudera (San Francisco) working to improve resource management across the Hadoop ecosystem. 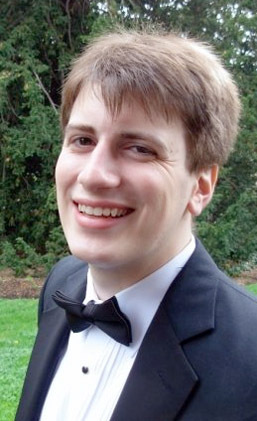 I spent the summer of 2011 at Microsoft Research (Redmond) working with Peter Bodik and Srikanth Kandula on resource allocation in Cosmos/Dryad on Bing's clusters. In June 2008, I graduated from Princeton University. My interest in probability and statistics led me to major in Operations Research and Financial Engineering, with a healthy serving of Computer Science courses on the side. You may also be interested in my Curriculum Vitae, or the list of courses I have taken. As a curious computer scientist, I occasionally use twitter. Andrew D. Ferguson, Jordan Place, and Rodrigo Fonseca. Growth Analysis of a Large ISP. In Proc. ACM Internet Measurement Conference 2013, October 2013. [Paper (pdf)] [Paper (video)] [Talk (key)] [Talk (pdf, with notes)] [Talk (pdf, no notes)] [Talk (ppt, converted)] [Data] Nominated for the Community Contribution Award. I am developing a new platform for managing network resources by allowing end-users and their applications to safely, securely, and collaboratively manage such resources for themselves. This platform, which we term “Participatory Networking,” forms the next layer in Software-Defined Networks by providing “system calls” for non-administrative users. This project is developed jointly with Brown's programming languages group. By combining passive network measurements with a detailed analysis of publicly available data, I am seeking to give researchers and smaller ISPs greater visibility into the construction and utilization of Tier 1 ISP backbones. This is joint work with my advisor, Prof. Rodrigo Fonseca. We have explored the use of the IP Timestamp option to probe router and link properties, and are currently measuring the rate of structural change in a large ISP's network. I am working with Prof. Rodrigo Fonseca and Brown's database group to understand cluster workload characteristics and improve task scheduling in the Hadoop platform for MapReduce. I have worked to optimize data layout in the Hadoop distributed filesystem, and am currently engaged in a project to build a new filesystem for Hadoop integrating recent advances in database research. Working with colleagues at Microsoft Research, I designed scheduling mechanisms for MapReduce-style clusters which maximize global utility of compute jobs, and are capable of meeting service-level agreements (SLAs) with high probability. I assisted Prof. Samuel S.-H. Wang with creating and refining statistical models for the most accurate meta-analysis prediction of the 2008 election, and among the most accurate for 2012. I also developed the automated website infrastructure and prepared visualizations. Our work has been featured in many venues including The Wall Street Journal, NPR, IEEE Spectrum, and The Atlantic, among other publications. For my senior independent work, I applied a technique from matrix analysis to compare data previously clustered using hierarchical methods, yielding a substantial processing speed-up while reproducing and extending previous results. Introduction to MapReduce. Brown University, CSCI 2950-T. September 14, 2012. Participatory Networking. UC Berkeley, Networks Lunch. April 23, 2012. MapReduce Fundamentals. Brown University, CSCI 1950-F. February 10, 2012. Hadoop Research at Brown. Cloudera, Inc. November 3, 2011. Hadoop Research at Brown. Brown University, CSCI 2950-U. October 27, 2011. Since 2009, I have served as an elected representative to the Information Technology Advisory Board, a committee charged with studying the use of technology on campus and advising the university leadership on technology decisions. With the growth of out-sourced cloud-computing options, I think it is an important time for students of distributed systems to be involved in the IT-investment conversation. Since 2012, I have served as an elected representative to the University Resources Committee, which makes University-wide financial decisions on topics such as salaries, tuition, financial aid, and budget requests. I am a co-organizer of Research Exchange Seminars with Tea (REST), a weekly talk series by computer science graduate students designed to foster collaboration and disseminate new techniques across subfields. Since Fall 2012, I have also been the coordinator of the Systems Lunch / Reading Group. I wrote summary reports of talks given at INM/WREN 2010, NSDI 2010, NSDI 2011, and NSDI 2012 for the USENIX ;login: magazine. I previously maintained Rdiff-Backup, a Python-based cross-platform backup solution using the rsync algorithm in use worldwide. I helped prepare the Windows port and improved file extended attribute handling on Mac OS X. I'm a former developer for the AfterStep Window Manager, where I focused on the configuration GUI and parsing the options files. My patches have been included in Floodlight, Hadoop, ZooKeeper, Python, Samba, and the SWIM Benchmark for Hadoop. I think Vint Cerf makes a great Uncle Sam, so I created this propaganda to help raise awareness of the transition to IPv6. 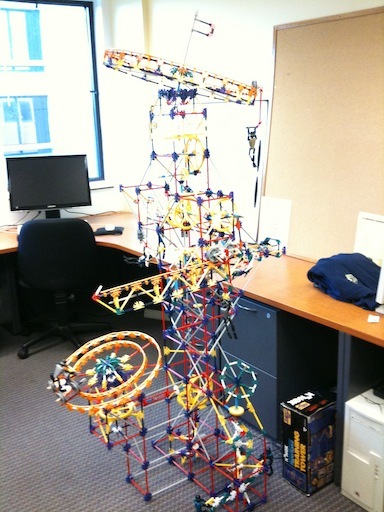 To honor the memory of my now-graduated office mate, Alp Küpçü, I assembled the 6' tall "K'nex HyperSpace Training Tower" where he used to sit. I made a stop-motion video of the assembly process, and a short video showing the tower in action. In 2000, when I was in eighth grade I wrote a report about the history of programming languages. For several years after I wrote it, the text was available online and it became a reference for other articles, Wikipedia entries, and even college courses. I have placed the report here for posterity and amusement (how could I have possibly left out Python?? ).